Camp is soon, so we wanted to share more information. If you have any questions, contact Tabatha Yang, Education and Outreach Coordinator for the Bohart Museum of Entomology at UC Davis, at tabyang@ucdavis.edu or (530) 754-0722, if you have any questions. You must sign waiver for the reserves before we visit Quail Ridge Reserve and Bodega Bay Field Station and Reserve. You have already signed and returned this as part of your application, but please re-read it before the start of camp. What will each camp day be like? Click on the document to the right for a brief overview of each day of camp. *NEW INFO I just learned that at Bodega Bay we can help with some habitat restoration, if you have work gloves please bring those along to Bodega Bay. If not, no worries we have some extras. Bio Boot Camp takes place on the UC Davis Campus in Davis, CA. It is in Academic Surge Building. The camp is held in classroom #1375. 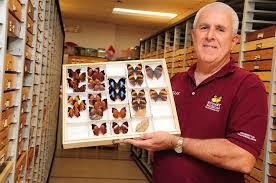 It is conveniently between the Bohart Museum of Entomology and the Museum of Wildlife and Fish Biology. It is where parents and guardians need to sign-in and sign-out. Morning Drop-Off - see the parking option button below and lot 47 permit button below. TAPS (Transportation and Parking campus organization) is allowing us free, 15 min parking in Lot 47. This is about 2 blocks west of our building along La Rue Rd. However, there are some 30 min and 15 min parking spots in and around our building. See the specific parking options. Note: Parking violation fees are about $50. Afternoon Pick-Up use lot 46. It is free after 5 pm during the summer! We are very fortunate to visit this amazing research facility. There is the marine lab where top marine research takes place, but also the reserve portion, which is the surrounding land. There is a lot of terrestrial ecology research that happens here. We will get to explore both. We will be staying in their dorms. See the picture of the bunk house. We will have the girls on one side and the boys on another. The instructors will also be sleeping here. The dining facility is adjacent to the bunk house and we will have our meals together. There is always plenty of food! Hello everyone, my name is Marina Vollin! 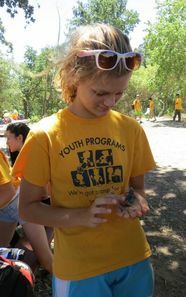 I'm a junior undergraduate college student at UC Davis studying Evolution, Ecology, and Biodiversity with a focus on reptiles and marine invertebrates. I also currently work as a curatorial intern at the UC Davis Museum of Fish and Wildlife Biology specializing in herpetological curation and education. In my spare time I enjoy playing clarinet and jogging. My name is Jackson Audley and I am a third year PhD Candidate in the Entomology and Nematology Department at UC Davis. I am a forest entomologist and primarily study bark and wood boring beetles. My thesis project is focused on developing a semiochemical repellent tool to protect walnut trees from an invasive bark beetle named the walnut twig beetle. I have a bachelors degree from the University of Georgia (UGA) where I studied Wildlife Biology and was first introduced to forest entomology. After finishing my degree at UGA, I worked in a forest entomology lab for two years. 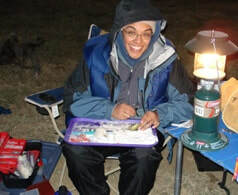 I then spent a year in Nevada as an AmeriCorps volunteer working with the Great Basin Institute on a project performing land health assessments on range land throughout the state. Following that experience I moved to Knoxville, Tennessee and was accepted into the graduate school at the University of Tennessee (UTK). At UTK I completed a Masters in Forestry studying the walnut twig beetle in eastern black walnut wood and wood products. When I am not conducting research, I enjoy playing the guitar, snowboarding, backpacking, hiking, camping, and running. My name is Tabatha Yang. I am the Education and Outreach Coordinator for the Bohart Museum. I helped launch this camp in 2011 after running the Nature Adventures camp programs at the Santa Barbara Museum of Natural History for a few years. I am a museum (geek) professional. My back ground is in ecology with an interest in insects, birds and snakes, especially in the Neotropics. 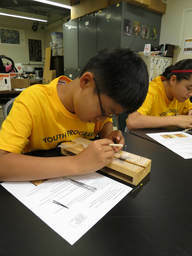 I currently promote the fabulous entomological work here at UC Davis through the Bohart Museum's many outreach programs, including co-founding the UC Davis Biodiversity Museum Day. This is an annual day for the public to explore the natural sciences and it involves 13 UC Davis science collections/museums. I like to draw comics about rabbits based on my own pet rabbits. I write stories with two of my friends. Our longest is about 17,500 words (so far; it's not finished), and is about a shapeshifting space octopus, among other characters. I love hornets but I have never seen a live hornet. I like Kpop, anime, and making new friends. I love being out in nature, helping animals and I want to become a vet at this University.